You'll need to know the when and where we'll be gettin down, so click here and join our EMAIL LIST, or hit up SOUL BE IT on Facebook, and let Soul keep you up to date. Call the Toll Free "Soul be it Hotline" at (866) 970-9339 the date of the event for up-to-the-minute notifications on outdoor performance cancellations! 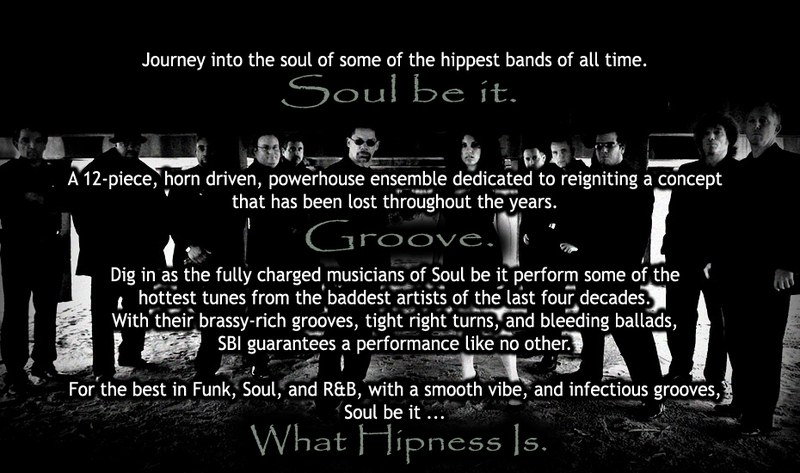 SBI Proudly announces the release of "A Taste of Soul". A compilation CD featuring all your favorite jams from some of our live performances. The disk will include a bonus DVD and will be available at all events.